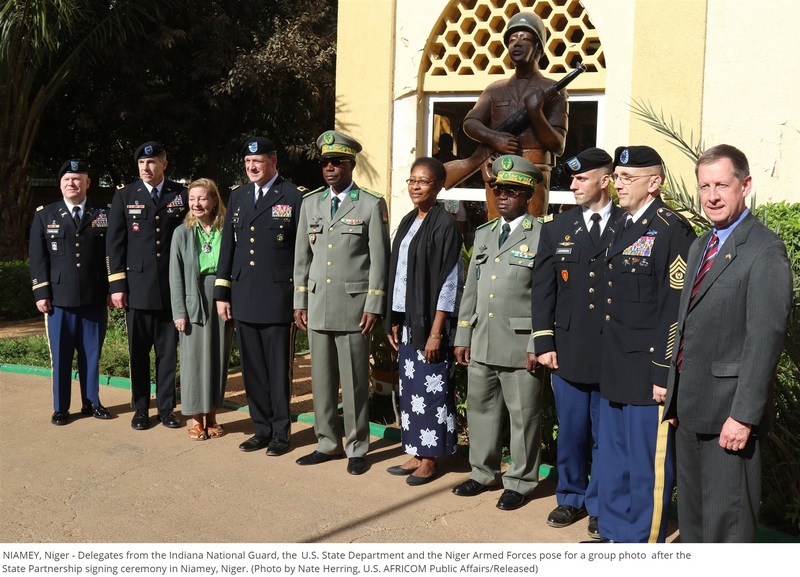 NIAMEY, Niger – The Indiana National Guard and the Republic of Niger began a new partnership Jan. 26 as part of the National Guard’s State Partnership Program. 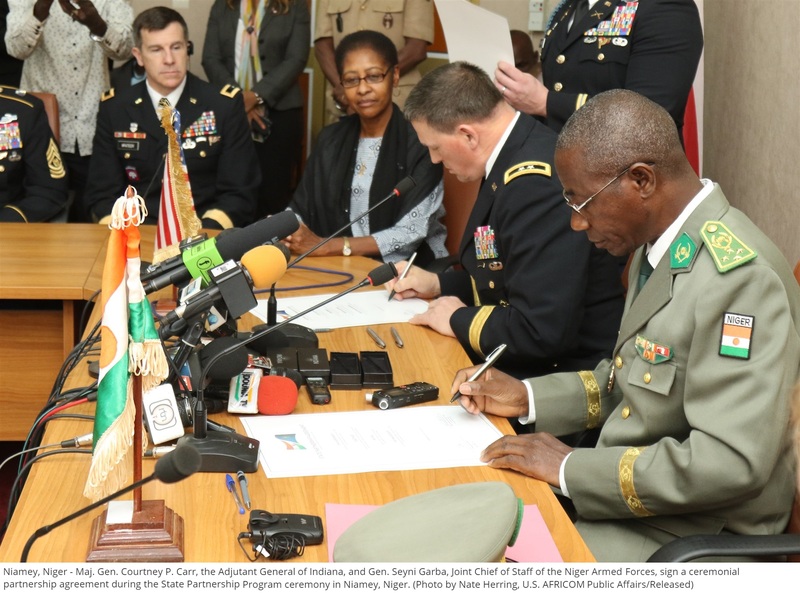 The Indiana National Guard has a history of partnering with academic institutions such as Indiana University – who is interested in playing a vital role in the partnership with Niger, he said. What is now Niger was once part of the Songhai Empire from 600–1591 and the Mali Empire. The area was then part of the Hausa kingdoms and Kanem–Bornu Empire. Following the 1885 Berlin conference, which formalized Europe’s colonial Scramble for Africa, the French were given the land by European powers and not the Africans. By 1922, African resistance to colonial rule, in this region, was eliminated and Niger became a French colony. 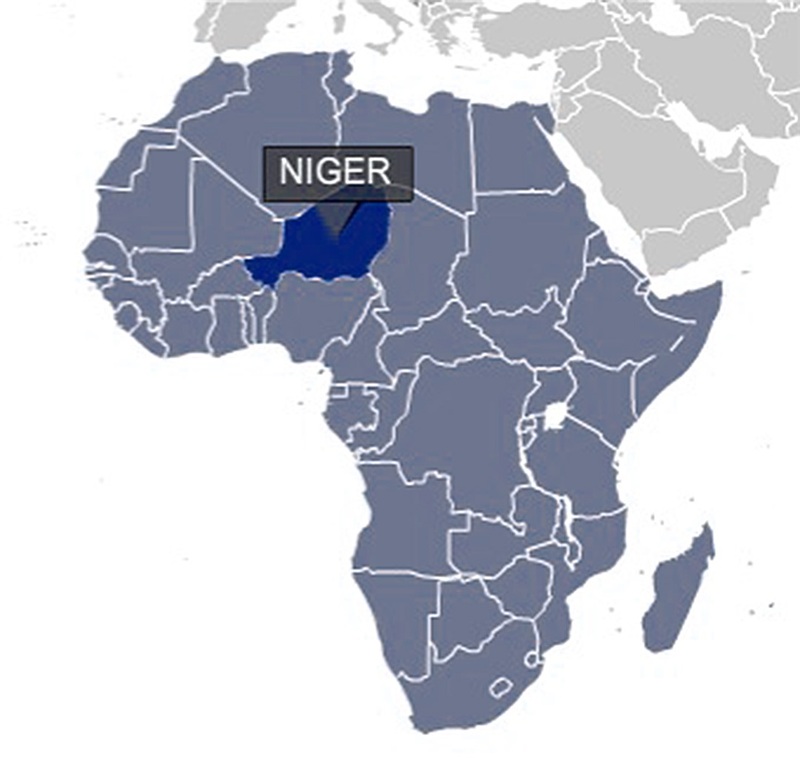 On December 4, 1958, Niger became an autonomous state within the French Community. Niger gained independence from France on August 3, 1960. Although Niger has sizable reserves of oil, the profitability of these commodities has been called in to question due to the prolonged drop in oil prices. Reuters reported in 2015, that Niger had made a new crude oil discovery estimated at about 43 million barrels in its Bilma field. An official at Niger’s oil ministry told Reuters that crude from Bilma will be transported to Agadem. From there it will also be shipped through a pipeline under construction which will link to the Chad-Cameroon pipeline. Niger had signed deals with both Cameroon and Chad which will allow it to export crude from Agadem to Cameroon’s Atlantic coast. The pipeline was expected to be completed by the third quarter of 2016.